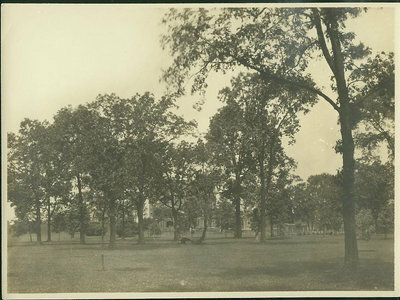 Note the "Indian Trail Tree" in the photograph. The address of this house on Sheridan Rd., Wilmette, was originally identified as 2929 Sheridan Rd. It is now known as 336 Sheridan Rd. The original owner was Philetus W. Gates.